Bed Sweet Buys: Are You Confused by Bedding Terms - Quilt, Coverlet, Bedspread, Duvet? Are You Confused by Bedding Terms - Quilt, Coverlet, Bedspread, Duvet? If you are shopping on line, you depend on the description of a particular bedding you are interested in purchasing to give you information about the product in question. Just how do you differentiate between them? Here is an overview you may find helpful. Quilt: This is a 3 layer bedding cover that consists of a top fabric, an inner fill material and a fabric underneath. These layers are stitched together in a designed pattern throughout the entire quilt. This stitching gives the quilt a puffy appearance. For a thinner fill material, it could be termed a quilted coverlet. Coverlet: This is a general term for a lightweight cover. It can be a bedspread or a quilt. Often this type of bedding is used in layering the bed where different types of bedding are used and this can be a complimentary color, usually a solid color as an accent to the colors found in the design of the dominant bedding piece. Bedspread: This is a single layer cover, like a blanket. 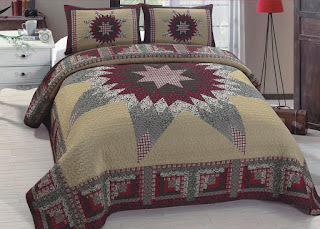 Different weaves will enhance the beauty of a bedspread. A matalasse weave, for example, is one that has the appearance of a quilt in that its design is puffy. Still it is a single layer cover. The bedspread isn't designed for warmth. It is used mostly for beauty so you need layers underneath for warmth. Sometimes the term bedspread is loosely used to describe a lightweight cover that does have more than one layer. But technically a bedspread is a single layer piece. 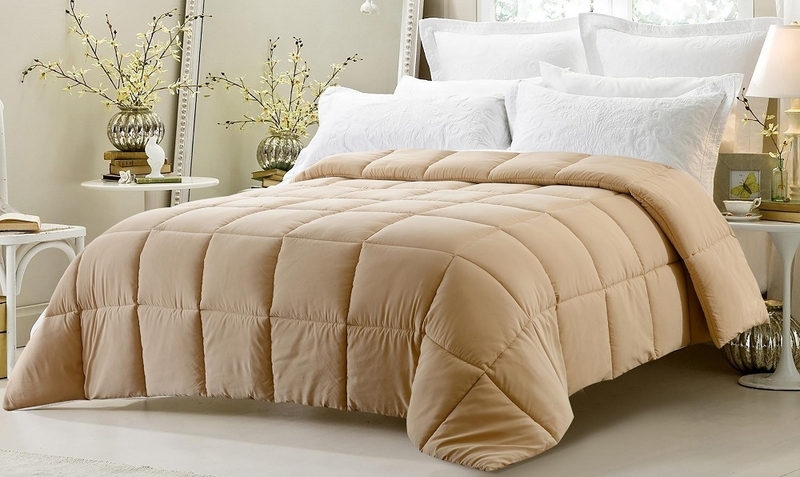 Duvet: This is a fluffy, warm comforter type bedding. A duvet cover is typically used in conjunction with a duvet. The duvet itself is the fill. The duvet cover or sheet encloses completely the duvet insert. It is removed for laundering purposes. Many find a duvet the desirable option because different duvet covers are more practical for changing seasons or color schemes rather than purchasing a variety of comforters. Comforter: This is a warm, thick bedding with a top and bottom layer and a fill material in the middle and usually stitched together in a large box stitch design. The fill can be either down and feather or down alternative. A comforter can also be used as a duvet insert. Many comforters are machine washable, although it may be necessary to take it to a laundromat because of it's bulk. Comforters can be described more specifically in one of three warmth factor categories - lightweight, medium or all seasons and heavy/warm. While these terms are sometimes used interchangeably and the terms given may not be altogether by definition totally accurate as used, this is provided as a general overview. I hope you find this useful for your shopping experience. Does Your Sleep Position Matter?